Only 25 days until Christmas! 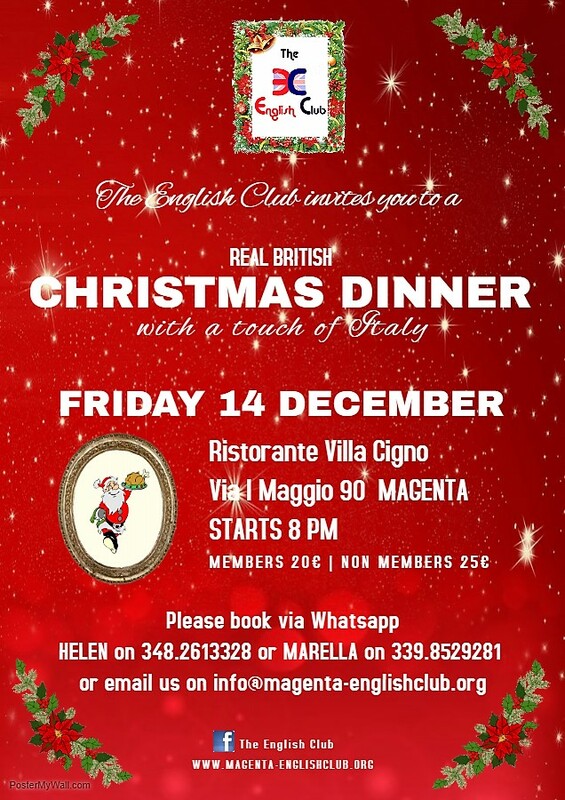 But only 14 days until the fantastic English Club Christmas Dinner Party on Friday 14th December! See the invitation for further details. This is your last chance to book as we have to get organised with the restaurant Villa Cigno next week. Maximum 50 guests and we already have over 30 bookings! Don’t miss the opportunity to join this British Christmas Experience. Non-members are welcome too! If you have any special food requirements we will try and find something for you but we need to know in advance. So get in touch soonest at the numbers on the invitation.